From the late 12th century until the 17th century, the rise of the university accelerated the pace of textual literacy and the pursuit of scientia (knowledge or science). The most immediate result was an enormous rise in the production of manuscripts. Combined with the influx of observations of the natural world and the rebirth (renaissance) of classical texts during the 15th century, the demand for materials was almost impossible to meet, requiring much travel and wealth to acquire books. The invention of the printing press therefore remedied one of the great hindrances to scholars, allowing for ease in both publishing and reproduction of texts. By the 16th century, one of the most popular genres of book were compendia—or books that documented all known knowledge up to the present, whether it was medicine, farming, engineering, or mathematics. Many of these were elaborate books with many illustrations, like the De Re Metallica, that are highly collectable today. 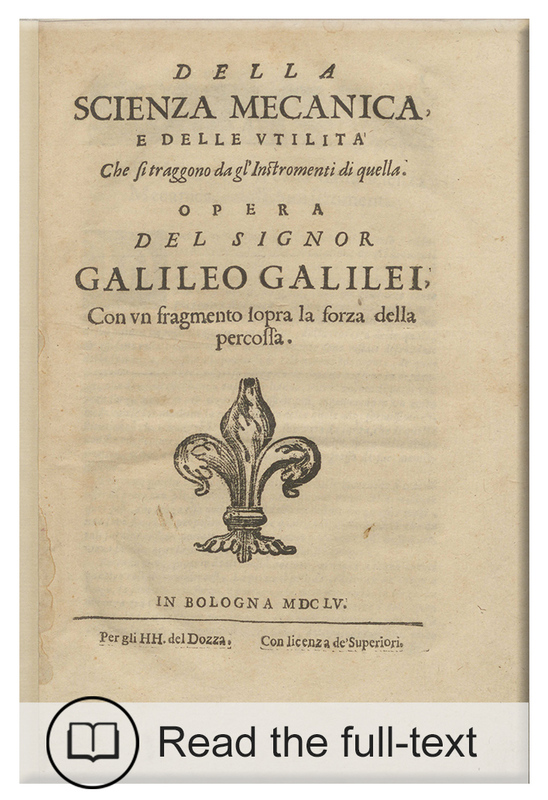 Best known for his observations of nature that formed the basis of modern physics, Galileo developed mathematics as a means to describe what he saw. He is perhaps most well known for constructing an operating telescope and proving the Copernican theory of a sun-centered solar system. His first work, the Della Scienza Mecanica, was first written in the 1580s and aimed to prove the science of Archimedes. It was only presented to the public in 1655. Although alchemy was flawed in theory, its laboratory practices and terminology contributed greatly to the development of modern chemistry. Jean de La Fontaine (not to be confused with the 17th-century fabulist), was born in 1381 in the town of Valenciennes, where he later became chief magistrate. De La Fontaine devoted his life to poetry, mathematics and natural philosophy, interests that are clearly evident in this collection of alchemical allegory. This intriguing collection of alchemy poems first appeared in print in 1561, following black-letter editions dated from 1495. The first-person speaker claims to have achieved transmutation with the use of mercury. The Monash copy shown here is a much later handwritten manuscript that a professional scribe would have copied from the printed text. 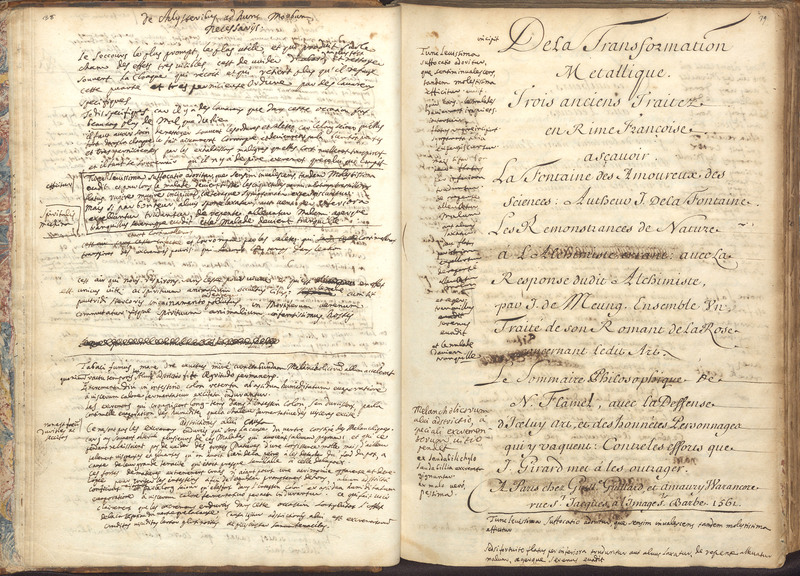 It is of interest for the enigmatic manuscript notes, annotations, and sketches present throughout, as they provide interesting details on aspects of everyday life in early 18th century France. There are several hands making scholarly annotations to the text itself, and other works are included in this copy, such as Jean de Meun’s response to de La Fontaine, and Nicolas Flamel’s Le sommaire philosophique. Our copy was acquired in the 1960s to support the research of a staff member interested in the transmission and distribution of alchemical texts. It is a relatively rare example in Australia of the survival of scribal culture in Europe well beyond the Renaissance period. 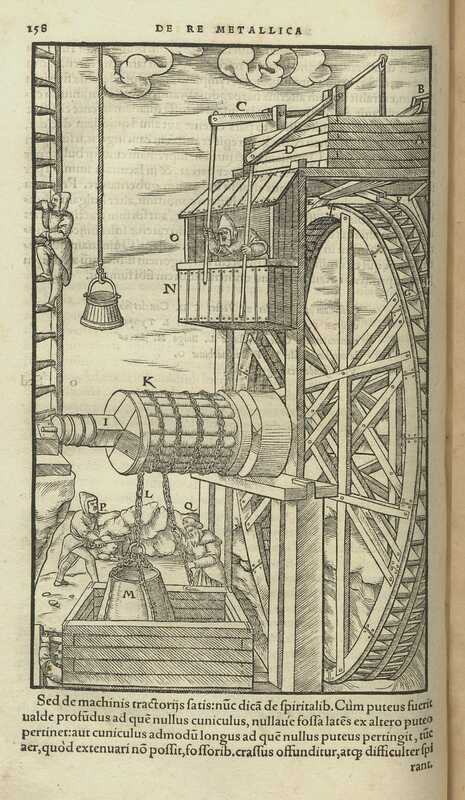 De Re Metallica is one of the most famous books of the sixteenth century. It was essentially a text of all the mining knowledge until that point and touches on many aspects of palaeontology and geology. Agricola was not in the mining industry but compiled his research through observation in the field. Extravagantly illustrated with 289 woodcuts, it demonstrated objective observation, and other methods that form the foundation of modern scientific inquiry. Belidor was a professor of artillery, but had interest in many other sciences. 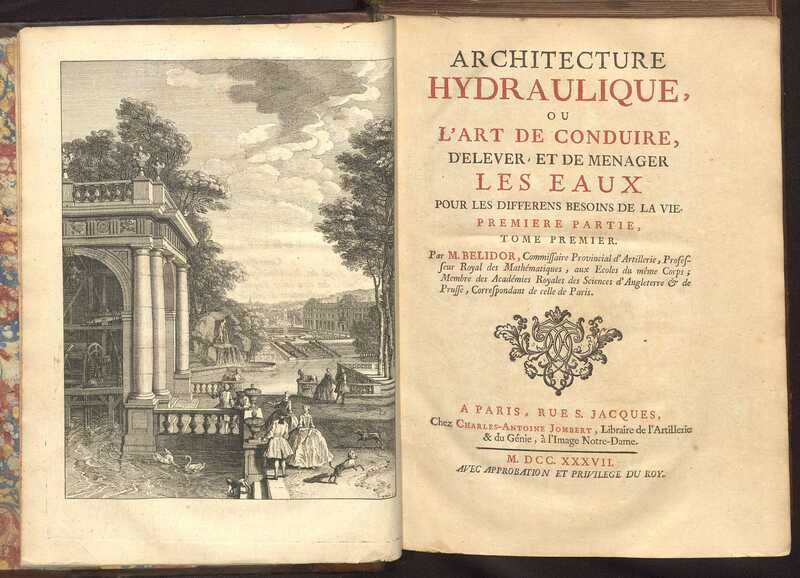 Architecture Hydraulique was an extensive work with many illustrations, dealing with diverse topics such as engineering, mathematics and hydraulics. Its significance lies in its application of integral calculus to technical problems.